ebot need some special library or dependency? know any site that uses ebot online now? 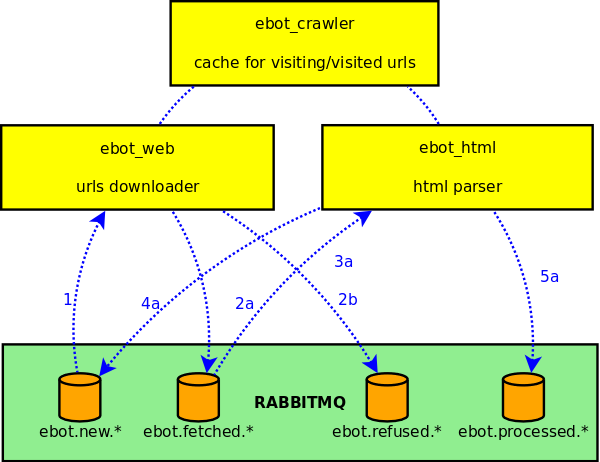 Hi, mmmm… some example using ebot? I will try to dive into your code and you need any volunteers ^_^ ? Very interesting, checking it out now. 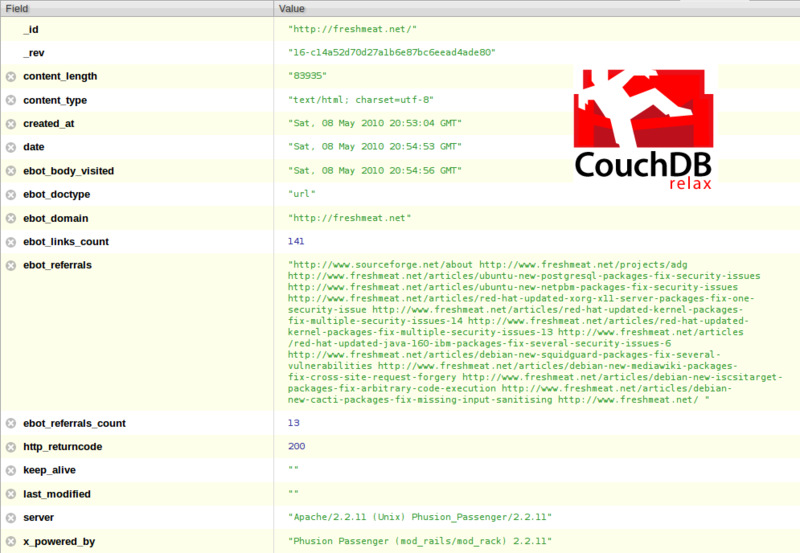 I see on the database page of your wiki that you mention CouchDB is not distributed and can only be on one file system, have you looked at BigCouch? Seems like a good fit for these, even running multiple BigCouch instances on the same box so each can use a different filesystem. If you don’t mind me asking, what are you currently using this for and what plans do you have for this? We are heavily using home grown java based crawler. It is always my dream to using Erlang based crawler. I hope you already know the nutch crawler from apache . But as you know java needs more coding and needs more care .. So can we have similar features in erlang based crawler (like limits per domain limits per job limited time schedule using outside anlyzer(lucene) etc. We need to spare time for erlang. I would like to know your personal opinion about the erlang and crawling. 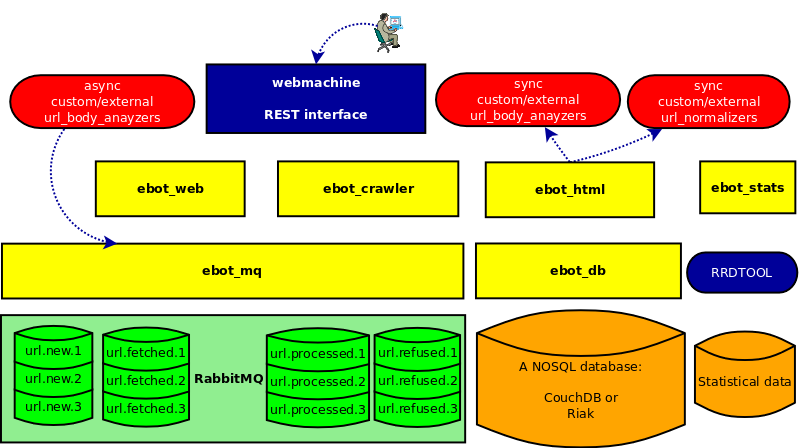 We have great tools on java for indexing and crawling. Additionally think about the millions of url and checking their status whether will be fetch or not. 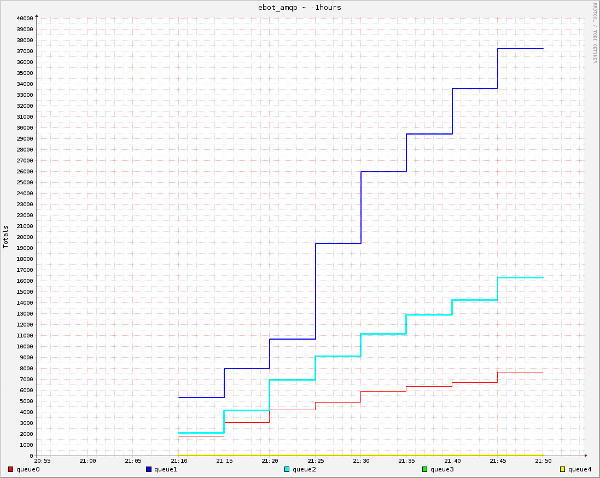 currently we are doing this on map-reduce cluster. But when we needs scalibity, reliability and clean code I think erlang could be the unique choice. If you have time to discuss please contact me from my email. Hey, really glad to be here!! I just wanted to learn Erlang by some practice and thus found here via google. I see pictures which describe the main process. I just wonder if u can show us some more details. And I may keep up with u.